As a child, I remember being at my mom's work and watching as someone added clear liquid to another clear liquid and getting a color and then adding to that and getting a different color! I had no idea at the time that they were likely changing the pH and the first addition was an indicator. I still to this day have no idea what any of the liquids they were using were, but watching the colors change was like magic to me. Today science still amazes me. 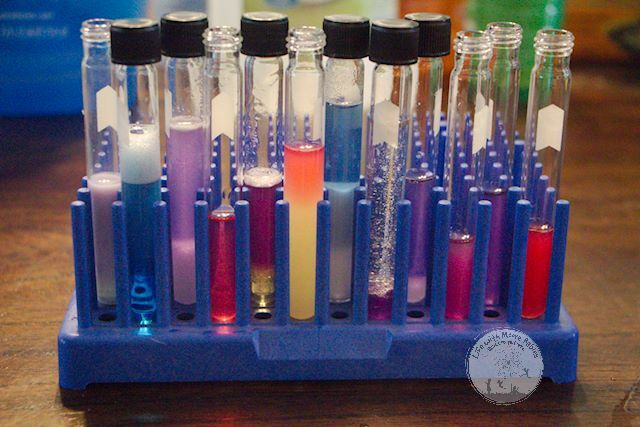 Even the simplest experiments amaze me, and I really want my kids to feel the same way. So although I don't have any fancy chemicals or pH indicators, we can still learn about pH with fun color changes! In fact, with a simple red cabbage and a few household ingredients you can have some colorful acid/ base fun! In the past I have made Red Cabbage Indicator before by boiling cabbage leaves, and it stinks. Yes for days on end the kitchen and dining room smelled like red cabbage. I'm not going to say that this won't smell a bit, but the odor doesn't linger. So first you are going to peel off some large cabbage leaves and place them in the blender. Pour hot water over the leaves and let it sit for a few minutes. Once blended there will be a lot of pulpy stuff from the cabbage. Just use your strainer to collect separate the pulp you don't want from the liquid you do want. Now you have Red Cabbage Indicator! 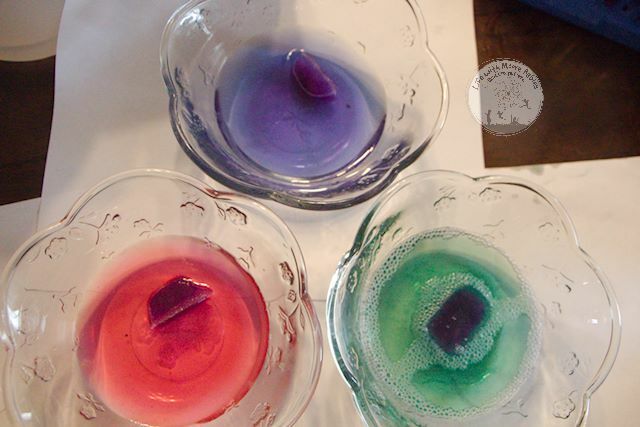 We did a few different experiments with our red cabbage acid/ base indicator. 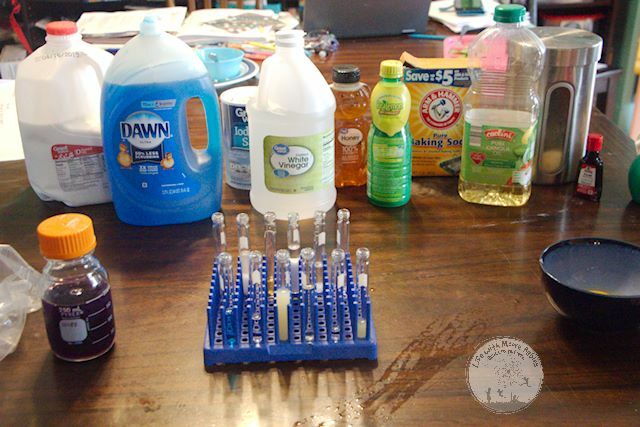 Are household substances acids or bases? The first experiment we did was the most obvious, testing various liquids from around the house to see if they were acids or bases. I honestly just let my kids choose things from the kitchen to test. 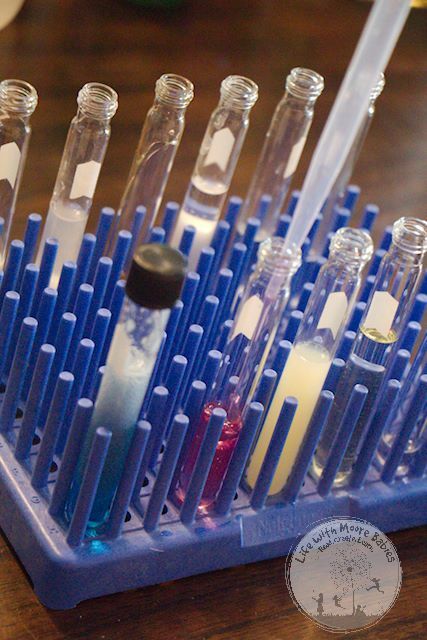 You will also need test tubes or other clear containers and pipettes or eyedroppers. We put a small amount of each test subject in a test tube (except the egg). The kids then took turns adding a small amount of red cabbage indicator to each substance. Some of the thicker liquids have to be shaken to see the effect well! 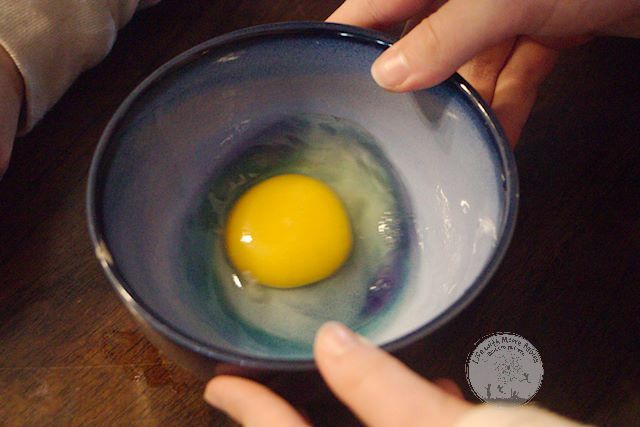 The egg definitely had to be swirled to see the effect in the egg white. If the liquid stays purple it is neutral; if it turns red or pink it is acidic, and if it turns blue or green it is basic. 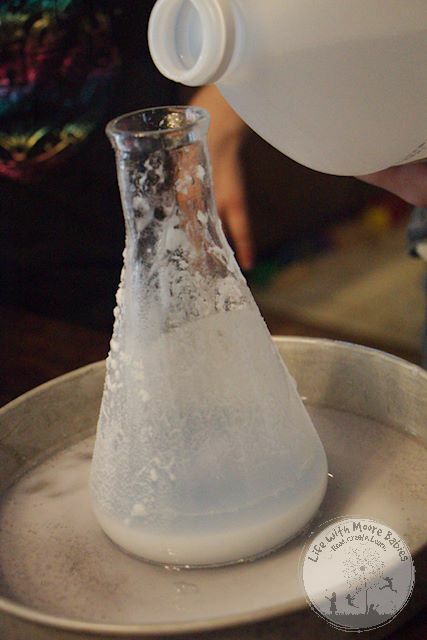 Most of what we tested was neutral, with some acids (vinegar, lemon juice, lime juice, extract), and a few bases (soap, baking soda, egg white). 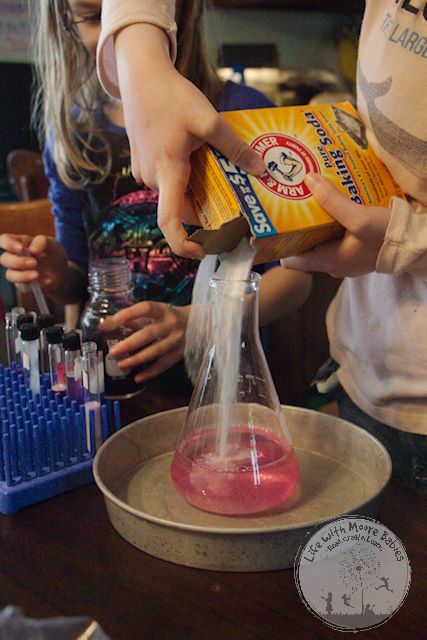 This next experiment was meant to show the kids how acids and bases neutralize each other plus just show how awesome science is! 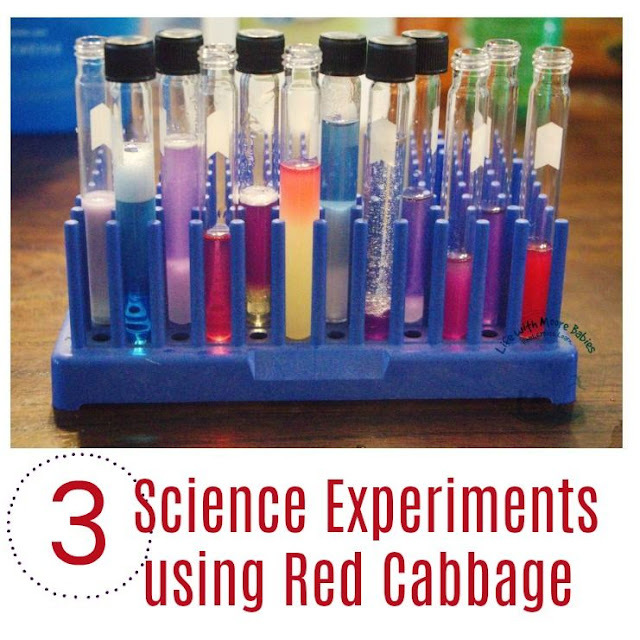 For this experiment you need your red cabbage indicator, vinegar, baking soda, a flask or bottle, and a pan. Start by placing your flask or bottle in the pan to contain any mess that is made. Next pour some vinegar into the flask and add some red cabbage indicator. Now you should have a nice pink shade in your bottle. 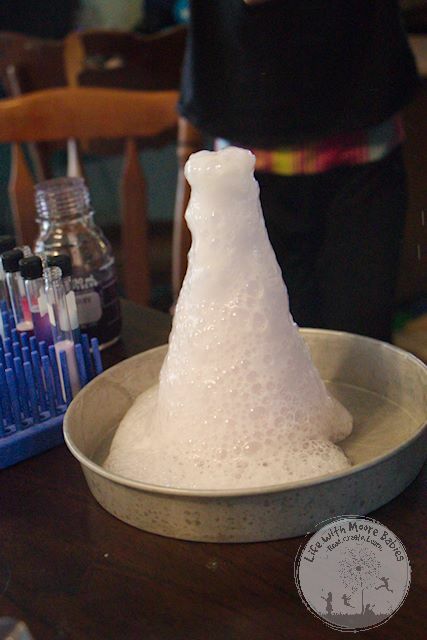 Next you will make your volcano by adding baking soda to the vinegar. Like always you get an awesome bubbly eruption! Once the bubble subside though you should see that the liquid in the flask is closer to purple. My daughter actually got carried away with the baking soda and moved all the way into the basic side of the pH scale. No problem though, just add more vinegar. 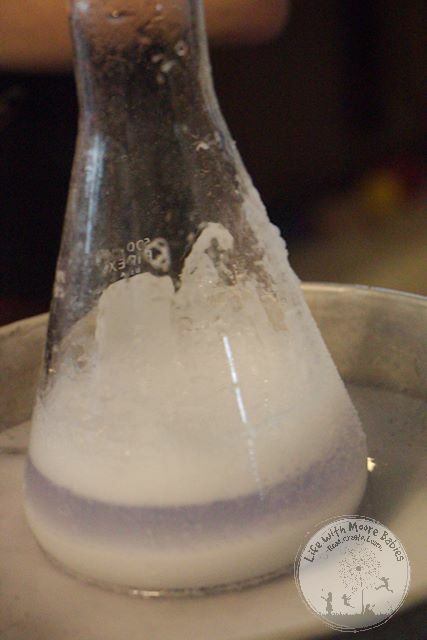 Again wait for the bubbles to decrease to see if you have neutralized the solution. You will know when it is neutralized by the purple coloration. 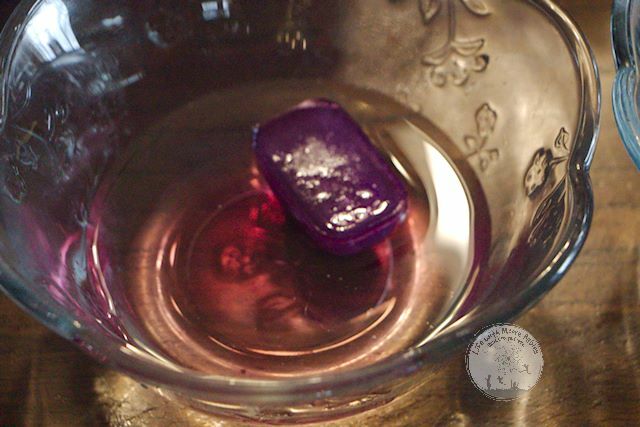 For this next experiment you have to prepare a little ahead of time by freezing some red cabbage juice indicator in ice cube trays. 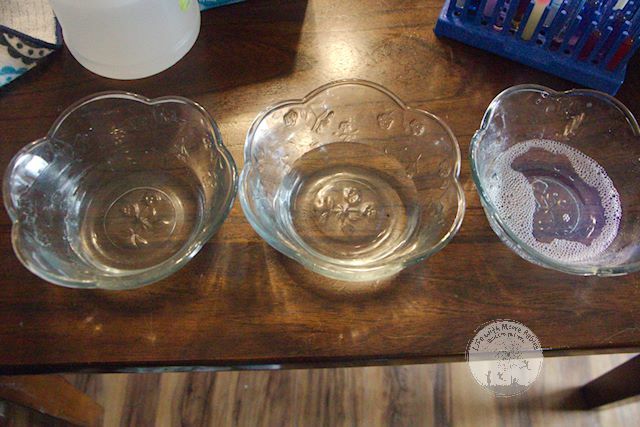 Aside from that you just need some clear bowls or cups and some liquids to test. We chose liquids that we already knew the acid/ base status of namely vinegar (acid), water (neutral), and laundry detergent (base). This way we could tell if the ice was working because we already knew what colors to expect! 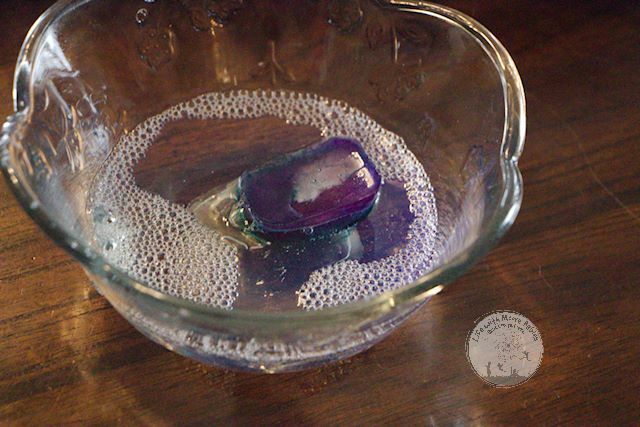 We poured a small amount of liquid into each bowl and added a red cabbage ice cube. In less than a minute we could already see the color changing especially when we swirled the ice around. Turns out red cabbage is still a good acid/ base indicator when frozen. However my son also learned, it does not make good ice cubes for your water! But the best part of this simple acid/ base science lesson, was how excited and amazed my kids were. 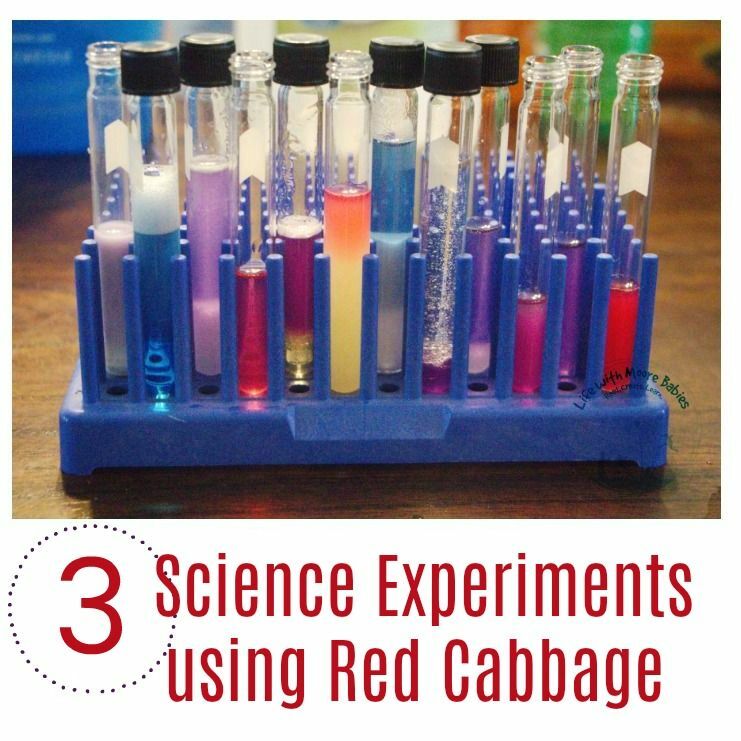 These red cabbage pH experiments are such a simple, hands-on way to keep a love of science alive while not stinking up the kitchen!